Life can be hard at times, whether it be related to anxiety, depression, relationship issues, family problems, and the list goes on. Reflecting on your situation can be an empowering experience and different perspectives can help us to think differently. I will encourage you as you work towards the goals that are important to you. If anxiety is limiting your ability to live the life you want or depression is weighing you down, I offer you the hope that things can be different! A growing awareness of the impact of thought patterns and recognizing body cues can shed light on your perception of reality. I will also encourage the use of mindfulness practices in order to promote relaxation and a connection with the present moment. You are invited to chart a different path for yourself! 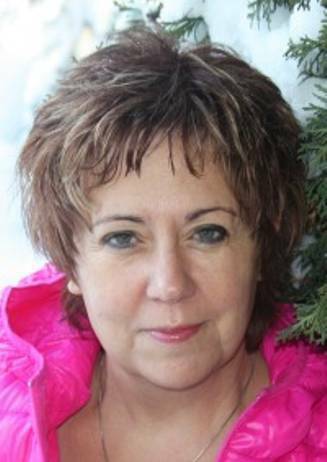 My name is Colette Hayes, and I offer professional, fully accredited counselling services in Leduc. I have earned my Masters in Counselling Psychology, and am a qualified Registered Psychologist with the College of Alberta Psychologists. As well, I have over 20 years experience in educational settings as a school counsellor working with youth, families, parents and teachers. Do you argue with your spouse over some of these very common issues...money, parenting, chores, leisure time and extended family? I have been married for over thirty years and I understand how complicated situations can become. I have been through my share of challenges and struggles and I think you will find that I have a warm and empathetic approach. My clients say that I am easy to open up to, and I work hard at cultivating a genuine bond with each person. My husband and I have made our home in Leduc for over 20 years, and we are so grateful for our family and friends. We are also very proud of our first grandchild who is the star of the show! Rounding out the household are our two loyal dogs, Jax and Nova, who provide us with lots of love and encouragement to get out for regular exercise.